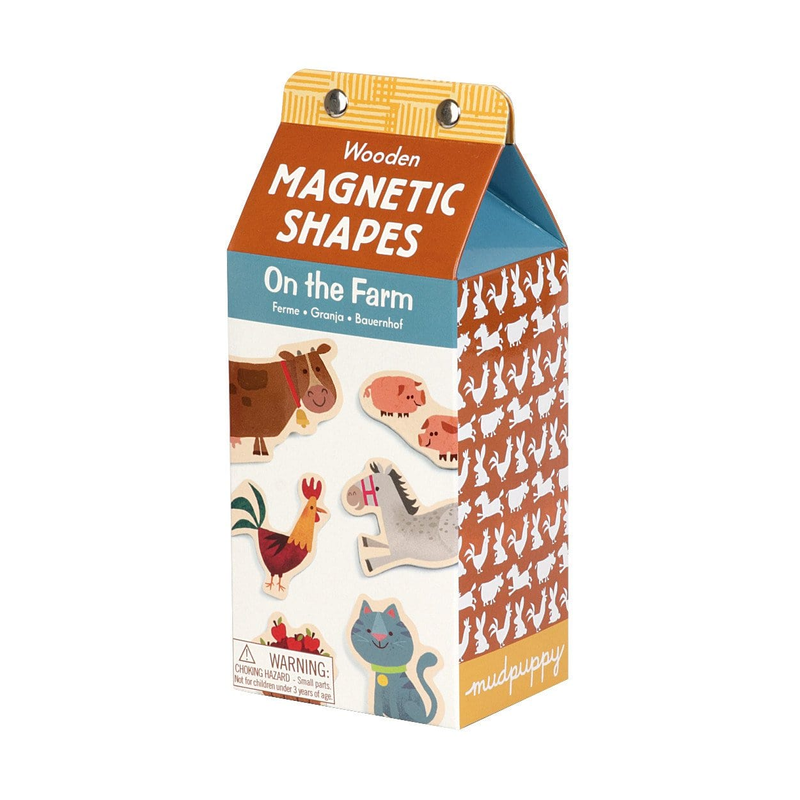 Mudpuppy On the Farm magnetic letters are lots of fun.Each colorful wooden magnet is a barnyard animal or something else found on a farm, as illustrated by Barn Eyes. Mudpuppy On the Farm magnetic letters are lots of fun.Each colorful wooden magnet is a barnyard animal or something else found on a farm, as illustrated by Barn Eyes: horses, cows, sheep, duck, goose, cat, kittens, rabbits, dogs, pigs, hen and chicks and rooster, goat, mule, a bushel of apples, corn, carrots, hay bales, mice, a red tractor, and the farmer himself. Decorate the refrigerator or any metal surface for a real down-on-the-farm good time. The full magnetic backing will hold the letter firmly in position.